Shona Ghosh/Business InsiderThe Huawei Mate 20 Pro. Huawei won’t be selling its latest flagship smartphones, the Mate 20 and Mate 20 Pro, in the US. The company is locked out of the US market because of fears that it spies on people for China. Huawei, the second-biggest smartphone maker globally, has a reputation for building flashy, feature-packed Android phones that rival the iPhone and Google’s Pixel series. The new Mate 20 Pro, meant to go up against the iPhone XS Max, features on-screen fingerprint recognition, artificial intelligence, and an impressive camera. Huawei, the Chinese phone brand that is more popular than Apple globally, has confirmed it won’t be selling its new flagship devices, the Mate 20 and Mate 20 Pro, in the US. Huawei does plan to bring its new smartwatch, the Watch GT, to the US, but it hasn’t announced price or availability. Huawei’s statement suggests that die-hard fans will be able to buy European or Asian versions of the phone but need to check whether their network supports imported devices. 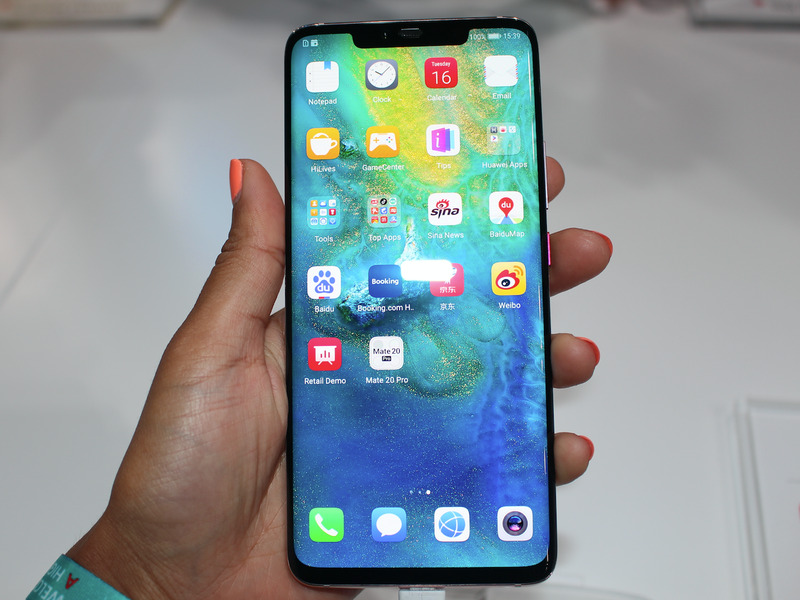 The Mate 20 series, for example, uses the GSM standard, but some US carriers like Sprint support only CDMA. The Chinese firm’s absence from the US market is likely to disappoint Android fans, who won’t be able to easily get hold of one of the most exciting Android releases this year. Huawei launched its Mate 20 series – the Mate 20, Mate 20 Pro, and Mate 20 Pro X – at a packed event in London last Tuesday. The company has overtaken Apple to become the world’s second-biggest phone maker behind Samsung, with a market share of 15.8%, according to IDC data. The Mate series also goes up against Google’s Pixel 3 and Pixel 3 XL, as well as Samsung’s Note 9. Thomas Husson, a Forrester analyst, told Business Insider it would likely be the bestselling Android smartphone until Samsung releases its new flagship next year. Huawei started as a telecommunications equipment company but started gaining attention for its well-made, feature-packed Android phones around 2013. It even briefly partnered with Google to create one of its Nexus phones. But the US government has reportedly pressured domestic carriers not to offer Chinese phones over fears that they’re a security risk, though it has not publicly offered evidence that Huawei is spying on customers. In January, AT&T canceled an agreement to carry Huawei’s Mate 10 Pro, the predecessor to the Mate 20 series that was expected to mark Huawei’s big push into the US, and Bloomberg reported that Verizon also dropped Huawei’s phones. In March, Reuters reported that Best Buy wouldn’t offer them either. Yu kept his cool this month presenting the Mate 20 series, but the company’s absence from the US is undoubtedly a blow.